Wisbech East, Cambridgeshire. Located on the line from March to Magdalen Road (Watlington) Nothing at all remains today, the area occupied by housing. 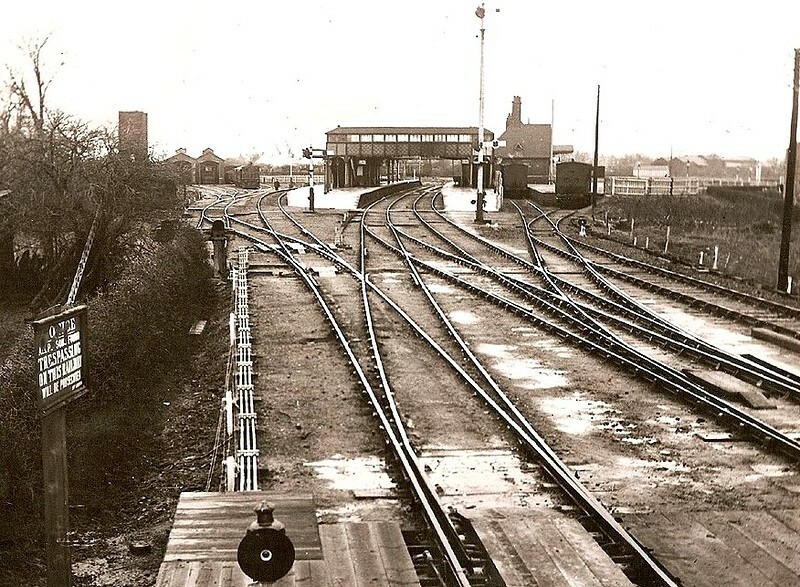 The station opened on 1st March 1848 and closed to passenger working on 9th September 1968. Viewed facing west towards March.